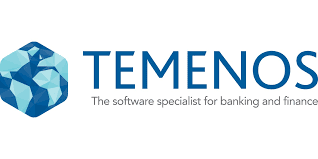 The banking software company, Temenos has named Alexandre Menage as its Head of Sales for Temenos in Africa, reports ITRealms. Alex brings over 15 years of experience in the financial services industry in his new role with Temenos in Africa, including numerous business development and managerial roles at Thomson Reuters, where he spent 12 years. Within Thomson Reuters, Alex worked in London, Dubai, and lastly South Africa where he took on the role of Head of Sales for Risk and Managed Services for Africa. Most recently, Alex worked with Oracle as Regional Director for Middle East and Africa. Temenos has more than 20 years of experience in providing universal, central, microfinance and Islamic banking solutions to banks in the African continent with over 80 customers across East and West Africa. Winners of the Best Digital Banking Solution at the 2018 East African Banking Awards, as well as Best Islamic Banking & Finance Software Solution at the World Finance Islamic Finance Awards 2018, Temenos plans to continue capitalizing on its strong growth in the region. The company remains dedicated to providing the world’s number one banking software to banks and financial institutions of all sizes throughout Africa. Through Temenos’ experience in the region, the company has gained a deep understanding of the specific requirements of banks in Africa. From replacing legacy systems, to adhering to new regulation and risk management, or financial inclusion through optimizing customer experience and extending the adoption of banking channels. With Alex’s proven background in building new business and managing relationships in the region, he is ideally suited to lead the Temenos team in delivering its growth strategy.